We source sustainable, local, day boat fish where possible. Some examples of suppliers we work with and ports we source from around the UK are below. We work closely in partnership with Lyme Bay Fisheries and Conservation Reserve, and wholeheartedly support their vision to achieve a well-managed Marine Reserve within the bay, benefiting fishermen, conservationists, and chefs alike. We support this through buying the daily catch from fishermen at Lyme Bay, and delivering it to London’s chefs within 24 hours. Lyme Bay Fisheries and Conservation Reserve implement best practice to protect the biodiversity of Lyme Bay, managing fish and shellfish stocks, and creating long-term benefits for coastal communities around the bay.We buy all of the catch from Lyme Bay Reserve, each day and transport it to our fishmongers in London; which supports the local fishermen. Peterhead harbour’s 400 year history is synonymous with landings of the UK’s premier white fish. 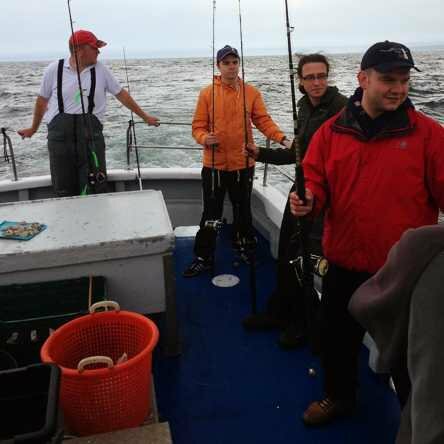 Situated in the North of Scotland, Peterhead provides the North Sea and Atlantic’s best of Cod, Coley, Monk, Haddock, Lemon Sole, Plaice, Hake, Megrim, Pollock and Squid. Fleetwood’s famous fish market is less than ½ mile from the back door of our Neve Fleetwood business premises! Our buyers visit early each day to get the best of the days catch. 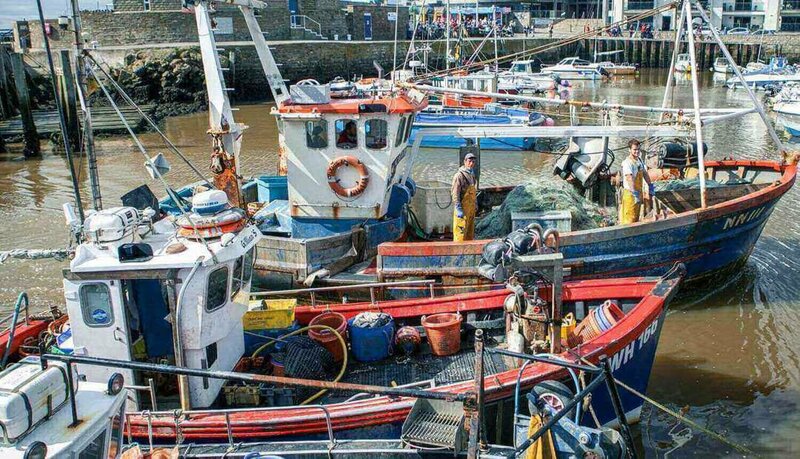 The market offers a great range of locally caught species from plaice and gurnard, to brill, dover sole and turbot; caught by a small fleet of boats based in Maryport & Whitehaven. We source many other sustainable varieties when in season.The main species coming into Fleetwood are Plaice, Dover Sole, Brill, Turbots and Codlings. Albert Suttons in Scarborough and Whitby supply us with fresh Cod, Lemon Sole, Turbot, Haddock. West Mersea is very local to our Direct Seafoods Colchester business, and provides a fantastic supply of locally harvested Oysters. We buy directly from our Colchester premises’ local fish auction market at Lowestoft in Suffolk. Lowestoft offers us a range of species; Skate and Dover Soles all year round, Cod in the winter, Sea Bass in the Spring and Summer, Lobsters in Summer, and the occasional small landings of Herring, Sprats, Turbot, Brill and Monkfish. Day boats into Newhaven on the South coast of England, provide us with species such as Plaice, Lemon Sole, Dover Sole, Brill, Turbot, Sea Bass & Scallops. Brixham’s famous fish market provides us with a host of local day boat fish each day. While most of the country is tucked up in bed, our buyer on the famous Brixham Fish Market is bidding to source us the best day boat landings. Species native to this area include Lemon Sole, John Dory, Gurnard, Red Mullet, Plaice, Brill, Turbot, Whiting, Megrim Sole, Dover Sole, Monkfish, Mackerel, Herring, Sardines, Hake and many more. This is in addition to shellfish such as, scallops, crabs and lobsters. As a supplier, we work in partnership with our customers (restaurants and caterers) in raising awareness of responsible sourcing and encouragement of consumers in making sustainable choices. There are a number of ways we do this. We work with key suppliers to ensure they have certification wherever possible. For the 5 core lines consumed in the UK (cod, haddock, salmon, tuna and prawns) we have access to sustainably certified seafood in those areas, or if not certified, we work with suppliers who achieve best practice within that part of the industry. We take guidance from the MCS as to promoting sustainable species wherever possible and suggesting alternatives to those which are rated 5/red rated as fish to avoid. Traceability is key, and the MCS ratings list is a valuable tool for suppliers to assess the best fisheries to source from. We work with our suppliers to ensure traceability at all times and to offer customers the confidence of a robust supply chain. Aquaculture is a key part of seafood consumption. 10 years ago aquaculture represented 30% of consumption and now represents 50% – a figure which we will see continue to grow. As part of this, it is key to look for rigorous certification schemes, of which there are 3: ASC (Aquaculture Stewardship Council, GAA-BAP (Global Aquaculture Alliance – Best Aquaculture Practice), and Global GAP (Good Aquaculture Practice). In addition to certification, a great way to encourage use of sustainable species is to source more unusual / less common / under utilised alternatives. We work with local fisheries and suppliers, wherever possible to source from small day boats, trying to maximise the use of the full catch rather than only the prime fish. Restaurants and caterers are in a very powerful position to encourage change, as they have a captive audience and as long as it is imaginatively prepared and very fresh, all fish is delicious!